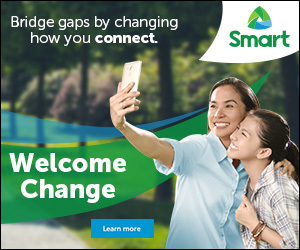 June 22, 2015 (London, United Kingdom) - Filipinos in Europe are in for a summer ride as ABS-CBN The Filipino Channel (TFC) kicks off for the very first time, a four-pillar event this year as a tribute to the “galing ng Filipino (greatness of the Filipino)” and to how far Filipinos in the region have come. 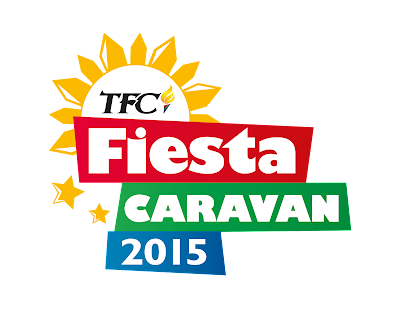 The series of summer events kicks off with the annual “TFC Fiesta Caravan 2015” in June and July followed by the launch of TFC@theMovies also in June; the iconic “London Barrio Fiesta” in July; and the historic “ASAP 20 Live in London” in September. Many are calling them the “Pinoy Big Four” of Europe and combined attendance of all these events is expected to break records. ABS-CBN Managing Director of Europe, Middle East and Africa Kai V. Rodriguez believes that this new and massive undertaking, done in partnership with in-region Filipino organizations and with parent company ABS-CBN Corporation in Manila, leverages the power of cultural festivals as a strong purveyor of heritage, an effective voice of diversity, a robust platform for self-expression and talent, and a dynamic venue for connecting people. A round-up of multi-talented Kapamilya hunks in “TFC Fiesta Caravan 2015”To join Pinoys in celebrating the Philippine Independence across Europe, TFC is bringing a stellar line up of the most exciting stars in the Philippines to add more color to the happiest fiestas in Oslo, Yorkshire, Rome, Morden, Madrid, and Dublin. The caravan rolled off with Drama Prince and “Nathaniel” star Gerald Anderson bringing Kapamilyas to 7th heaven as he performed at the “2nd Barrio Fiesta sa Nordic” on June 6 in Oslo, Norway and at the “Yorkshire Barrio Fiesta 2015” on June 7 in Yorkshire, UK. Meantime, while known for his villain role in “Juan dela Cruz,” Arron Villaflor was “Rome Independence Day Celebration 2015’s” ‘hero for the day’ as he brought joy to Pinoys in Piazza Ankara, Rome on June 14. On June 20, part-Filipino, part-European hunk Troy Montero joined the Philippine Independence celebrations while on June 21, international star Billy Crawford shared his world-class talent to Pinoys at the “Fiesta ng Kalayaan” in Morden Park, Surrey. Meantime, TFC takes the Filipinos for an entertainment ride with the dreamboat that is “Dream Dad” Zanjoe Marudo on June 28 in Madrid, Spain at the “Philippine Independence” and “13th Philippine-Spain Friendship Day” in Madrid at the Colegio del Nuestra Senora de Consolacion, Plaza Madre Mola 1 28036 and on July 4 at the “Dublin Barrio Fiesta 2015” in Tallaght Dublin 24. After setting records for bringing the most number of Filipinos and non-Filipinos alike, the “31st London Barrio Fiesta” is set to break concert records again as TFC together with Philippine Centre join forces once again to deliver the iconic gathering of Filipino talents in one platform on July 18 and 19 at Apps Court Farm, Surrey. Artists headed by multi-talented Kapamilya star Matteo Guidicelli, R & B Prince and “Your Face Sounds Familiar” 3rd runner-up Jay – R, R & B Princess Kyla, the phenomenal band Reo Brothers, plus comic tandem Tart Carlos andVivieka Ravanes. Completing the historic London Barrio Fiesta are day 2 artists headed by Kapamilya Leading Man Zanjoe Marudo on July 19. Joining him is his real-life partner, this generation’s Movie Queen Bea Alonzo, Papa Chen Richard Yap, Next Big Diva Morisette, plus Carlos and Ravanes. Premiere of homeland’s best via TFC@theMoviesWhile the 31st London Barrio Fiesta continues half-a-decade of a tradition, TFC@theMovies is set to set a new record as it brings ABS-CBN’s blockbuster hits on the silverscreen in London including top-rate films from ABS-CBN movie production outfit Star Cinema. “ASAP Live in London,” the ultimate Kapamilya experienceFinally, on September 6, TFC is bringing the biggest concert party this time to Europe via “ASAP 20 Live in London.” From its highly successful legs in Singapore in 2013, and Dubai and the U.S. in 2014, TFC is delivering a powerhouse cast of over 40 stars to London at the world-class SSE Arena Wembley right smack on its 20th anniversary. From ASAP pillars, singing champions to thrilling love teams “ASAP 20 Live in London” is ready to take the Pinoys to the biggest concert party, this time to UK. Filipinos in London’s time to partyGeneral patron tickets to the “London Barrio Fiesta,” are free. Limited VIP tickets are available at the venue or the Apps Court Farm in Surrey. Meantime, tickets to “ASAP 20 Live in London” are now on sale! Ticket prices are at Diamond Circle £100, Platinum £80, Gold £60, Silver £40 and Bronze £20. Special privileges await early bird purchases. Gates open at 10:30 and show starts at 12n.n. 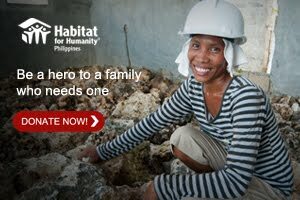 Don’t be left behind and miss the chance to be part of these once-in-a-lifetime events. For “ASAP 20 Live in London,” you can also visit www.ssearena.co.uk or the SSE Arena, Wembley Box Office or call 0844 815 0815 or 020 8782 5629.